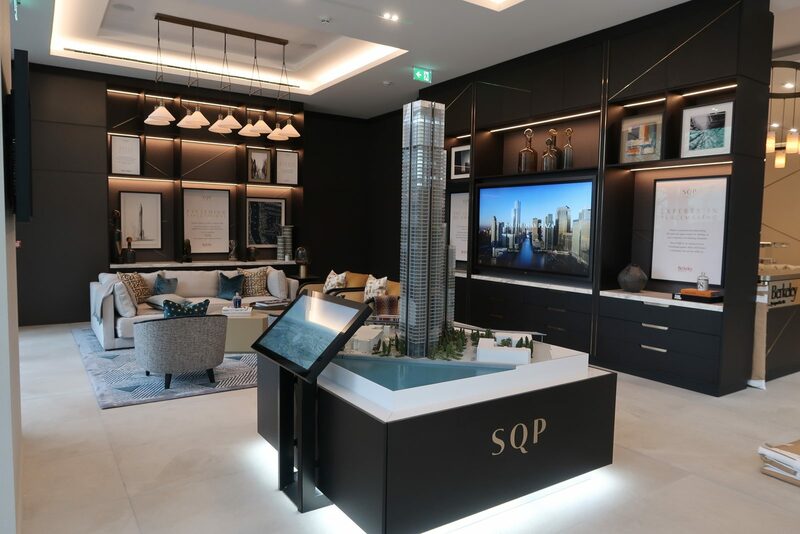 BJF Group’s M&E division has completed the mechanical and electrical works for the show flat and marketing suite at South Quay Plaza tower 4 working with fit-out specialists Lucas UK. The high-end Berkley Homes development is based in London’s high profile business and residential area Canary Wharf. Tower 4 is a 56-storey residential tower block, part of the impressive South Quay Plaza development which will incorporate 396 apartments and 20,000 sqft of retail space. The electrical installation incorporated CCTV, access control, fire alarms (both domestic and commercial) and data communications. We also installed bespoke chandeliers in the show flat. The mechanical works include a full VRV/VRF HVAC system for heating and cooling including ventilation and a supply and extract system. We also installed numerous linear grills and wall slot diffusers.